What Apocalypse Gear Will You Need? You are here: Home / Apocalypse / 12 Pieces of Essential Apocalypse Gear You Will Need! When it comes to apocalypse gear, everyone has their own idea of what they will need. It depends on how you believe that the apocalypse is going to begin. We will focus on what most believe to be the most essential pieces of gear during a Zombie apocalypse. Most people believe that the government will use gas to attempt to stop an outbreak when it happens. For this reason, it is a good idea to include a gas mask in your apocalypse gear to be safe. You may not need it in the beginning, but at about 3 lbs. I would rather carry it just in case. 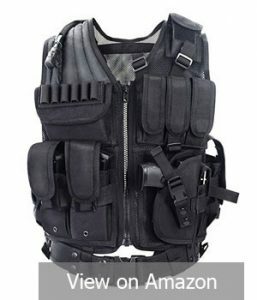 When the time comes to go on the offensive, a tactical vest will come in handy very quickly. This is a great way to keep all of your weapons and ammo within arm’s reach while you stash you supplies. It will also help keep you safe from other survivors who may attack you so that they have a better chance of survival themselves. A fire starter is going to be important piece of apocalypse gear for obvious reasons. You will need to cook your own food and boil your own water if you expect to survive more than a week. The fire will also keep you warm and help keep natural predators at bay. Look for one that is going to last you for a long time. You don’t want a fire starter that is going to be useless after about a month. Without this piece of apocalypse gear, you are going to have a hard time staying fed and warm. Being able to pick a lock will give you the upper hand because you will be able to collect supplies along the way. Other survivors are going to be pillaging all the supplies they can find in order to survive. If you can get into areas that were locked and haven’t been ransacked, then you will have an advantage. Even if you don’t know how to use the lock picks at the moment, you will have PLENTY of time to learn. Considering the amount of space and the weight of them, it is well worth the risk. The only reason guns are so high on this list is because they’re loud. Considering that most of the time you will want to be stealthy it makes guns a bad weapon choice, though very powerful. If possible, avoid using guns as your primary weapons. Guns are great weapons against Zombies, but you need to keep in mind that bullets are going to run out. Your shotgun it only as good as the bullets you have to shoot out of it. Once they are gone, then you are carrying around dead weight. Bring as much ammunition as you can bear to carry and make sure you have a backup plan. A hatchet is another great multi-task piece of apocalypse gear that is good to have. If can be a great weapon that can deliver deadly and accurate blows extremely quickly. Make sure that you find a small hatchet, because a full axe is too heavy and slow to be worth carrying. 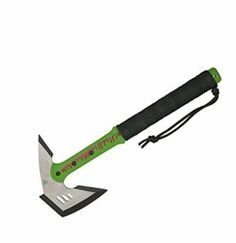 Your hatchet will also serve as a great tool for cutting down trees and branches. It will also be used to split wood and give you a source of firewood (warmth). You can also learn to throw your hatchet with deadly accuracy so it can be used for long range fighting. These are both great pieces of apocalypse gear because they can fire long distances with great accuracy. They are one of the best hunting weapons you could have and will also make a great weapon for defense. They do not take as much maintenance as a gun, and arrows can be reused or made from branches. They are also better for hunting because they are much quieter than guns. You will need to boil water in order to stay hydrated, so a canteen will be vital if you don’t want to boil water 6 times a day. Without this piece of apocalypse gear, you will need to boil water and then wait for it to cool every time that you are thirsty. Find a quality Canteen that is going to last you some time. You want to start your voyage with enough food to get you there. You won’t have much time to stop and forage or hunt for food while you are traveling. Having food will help you get a lot further away from the infected area in the first week. Most MRE’s have up to 3,000 calories worth of energy in them which makes them one of the best survival items you will need in an apocalypse. One MRE can last a normal person a full day. 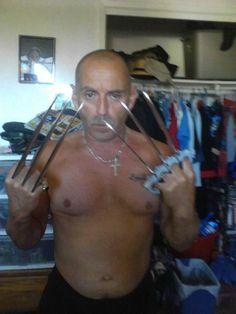 Find a good knife that can be used as a weapon and a tool at the same time. This piece of apocalypse gear serves two purposes, making it that much most valuable to you. A good knife can mean the difference between life and death during your initial travel. Find a good knife that is going to stay sharp and stay together for a long time. Make sure that it is a good length for hunting, skinning, and cutting at the same time. 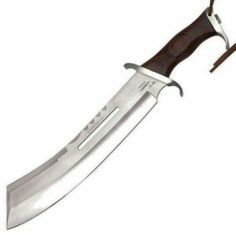 A sheath to protect you is also vital because a cut with a knife can prove deadly during the apocalypse. 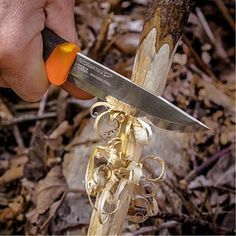 Check out this page if you need to find a good survival knife. A first aid kit is one of the most important pieces of apocalypse gear you are going to need. A simple infection could easily take you out with no hospitals around to fix your problems. Without a first aid kit, you will have to rummage or trade for one in order to survive. Make sure that your first aid kit is packed with bandages and antibiotics. You may also want to pack it with some pain and anti-inflammatory medicines as well to keep you happy and healthy. A rucksack is the first and most important piece of apocalypse gear on this list. You will need something to keep all of your apocalypse gear in so that it stays dry and secure. It also allows for mobility of all your essential items. This is a must since in an apocalypse setting you will be on the move quite a bit. Being able to have a rucksack to haul your life around is a must! Make sure that you rucksack is weather proof and is comfortable to hike long distances with. You will need to carry all of your belongings in that rucksack, you don’t want it to be painful. I would like to add seeds, a flint, a water purifying straw, and basic knowledge of storing food without refrigeration. If you have seeds, once you find a nice area, you will be able to plan and have food. Since food is going to be an issue. The purifying straw will allow you to drink from puddles, streams, and other filthy water sources without getting sick. 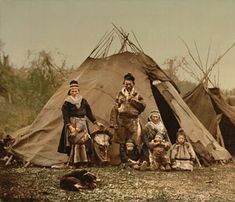 A flint is a go to fire starter. Then of course, storing food which can be done using a barrel buried in the dirt. It will offer a cool place to keep vegetables ans fruit fresher longer. Great info! Except for that pictured rucksack. I’ve actually hiked with THAT pack. It’s the worst pack I’ve ever carried. Do yourself a favor and get something with a decent belt, that thing chaffed me up in a short 5 mile hike. It is important to note that crossbows, like firearms, need maintenance. Lube for the arms and wax for the strings are the most common needs. A wrench is important in case the arms need to be adjusted. Strings will eventually need to be replaced, which likely requires a bow vise. As a rule, modern crossbows cannot be used safely with wooden arrow shafts. Recovery of arrows is possible under some circumstances, though not guaranteed. Arrowhead selection will be vital.